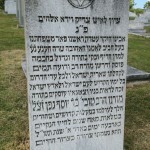 Rav Geffen was born in 1870, in the Lithuanian city of Kaunas (Kovno). 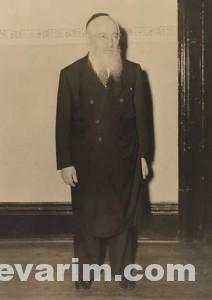 He immigrated to the United States in 1903 and became the rabbi of Congregation Ahavas Tzedek in New York City. A few years later he moved to Canton, Ohio and thereafter (1910) Atlanta, Georgia, where he served at Congregation Shearith Israel for close to 60 years. Once in Atlanta, the Rav organized the first Hebrew school which offered a daily Talmud class. 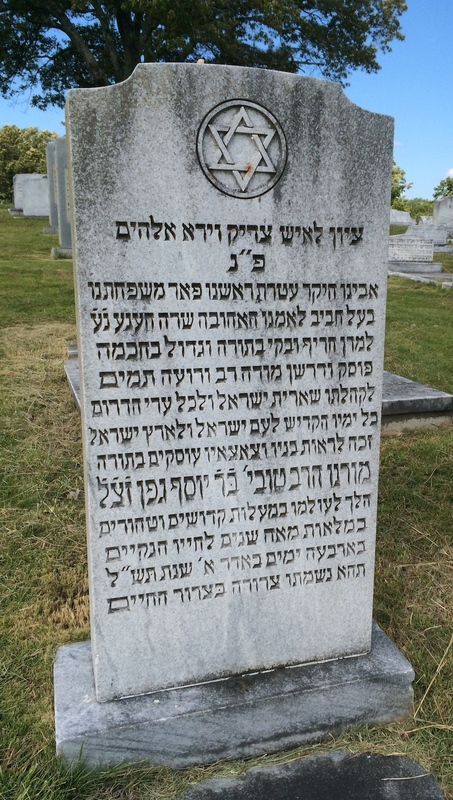 A catalyst in the area of kashrus he standardized the regulation of kosher supervision in Atlanta under his central authority and was the leader of the Southern division of the Union of Orthodox Rabbis (Agudath HaRabonim). The Rav, who published many sefarim, is most remembered for his kashrus certification of Coca-Cola. 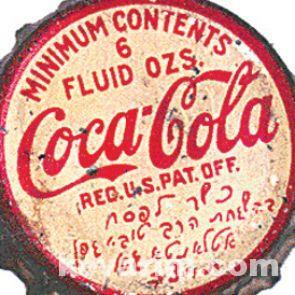 Living in Atlanta near The Coca-Cola Company’s headquarters, he received many inquiries from Rabbanim across the United States whether or not Coca-Cola was kosher. He asked the company for a list of the beverage’s ingredients and was provided with the Coca-Cola formula, a closely-guarded trade secret. He found that one of the ingredients, glycerin, was produced from tallow of non-kosher beef. He convinced the company to substitute it for a vegetable-based glycerin. Satisfied that Coca-Cola’s ingredients were now all kosher, the Rav issued a response in 1935 that Coca-Cola was kosher. “With the help of God, I have been able to uncover a pragmatic solution according to which there would be no question nor any doubt concerning the ingredients of Coca Cola”, he wrote. “It is now possible for the most stringent Halachist to enjoy Coca Cola”. Didn’t Rabbi Emanuel Feldman build the Jewish Community of Atlanta? 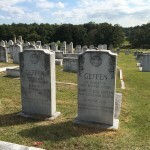 He did, Rabbi Feldman came to Atlanta not long after Rav Geffen passed away. By that time, the Orthodox Jewish community, which was already on the decline towards the end of Rav Geffen’s life completely faded away. The story goes that leading up to his very first Yom Kippur in Atlanta, Rabbi Feldman thought he would not have a minyan. Heres some information and a pictue of the kever. Wow he was a Rav in America for 67 years, what happened to all his descendants? Did any of them stay in Atlanta? I believe he has a son (or grandson) living in Bet Shemesh. 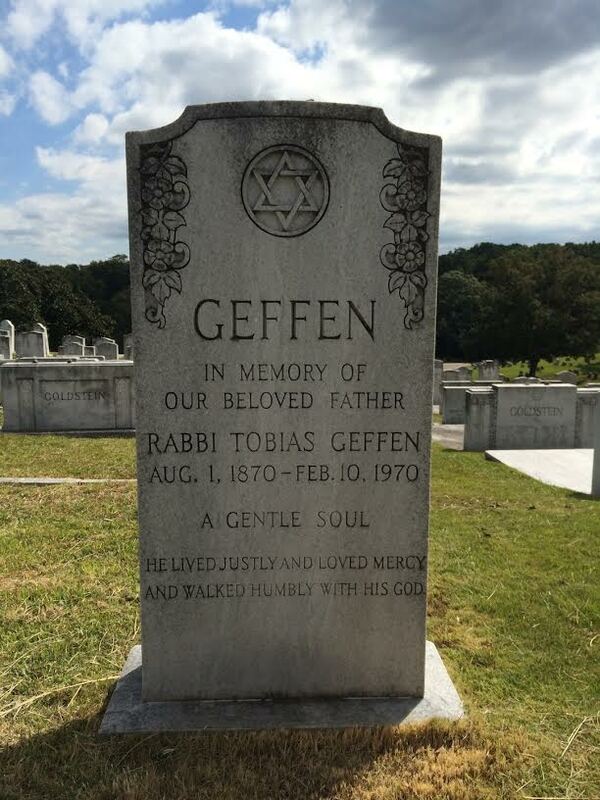 His son, Samuel, was rabbi of the Jewish Center of Forest Hills West in Queens, New York, for 40 years. He died March 15, 2002.
are now 96 descendants in Israel. two known occasions kept copies. Family always hoping to hear about Rav Tuvia’s letters. @Rabbi J Klein, I am sorry but the information you provide is not correct. Rabbi Emanuel Feldman came to Atlanta in 1952. 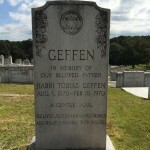 Rabbi Geffen was niftar in 1970. 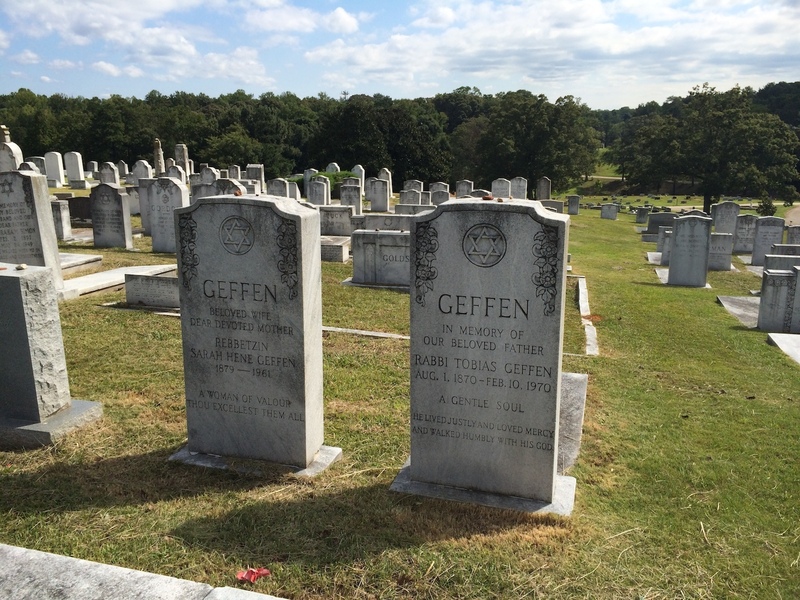 Even while Rav Geffen was still alive, frumkeit in Atlanta was on the way out (it is my understanding he was not too well at the time) and Rabbi Feldman revitalized the “dying” community.